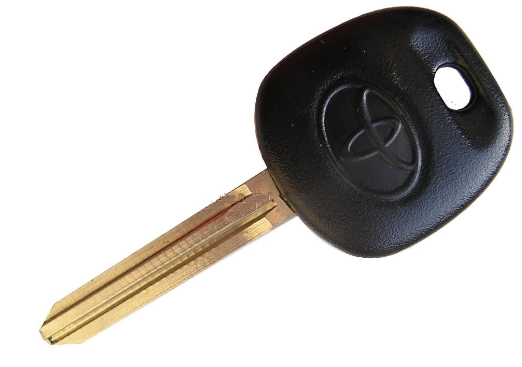 1997 celica immobiliser and key fob help!, Car wont start.. Immobiliser? How to reset key fob? Background info: I bought a 97 Celica last year, bit of a doer-upper project. Came with 1 key with standard fob, fob has never worked. (I tried sticking a new battery in the it a while back but didn't work and never got around to looking into it further). - I'm assuming the model I'm driving does in fact HAVE an immobiliser. Is that correct?? - I've read stuff about the fobs and stock immobiliser, but honestly dont really understand it. Any knowledge on how its meant to work etc. would be appreciated. - Is there a reset button or sequence of some kind I should have followed, or should follow now, to stop the immobiliser killing the car. - Is there some way of testing the fob and getting it reconnected to the car. I'd rate my knowledge of car electronics at about 1/10 so the more info anyone can give, the better. in the usa, we did not have celicas with ecu immobilizer. how thick is you key?